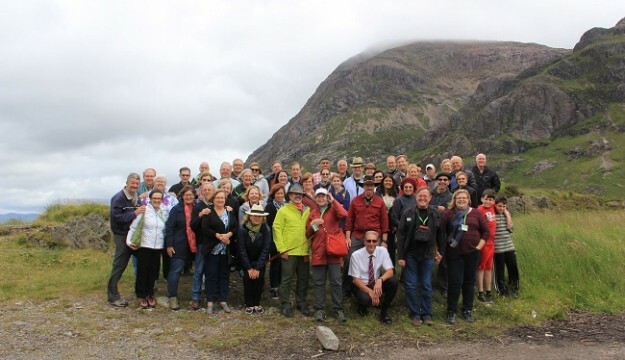 The UK Holiday Group has completed a 17-night “once-in-a-lifetime” geology tour of Great Britain for 100 travellers, in a group booking valued at more than a quarter of a million pounds. Hailing from the US, Canada, Australia, New Zealand and Europe, the travellers were all members of a scientific society based in the US and included world-renowned geology, paleontology and zoology experts. 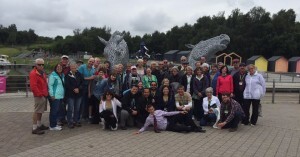 The coach tour started in London and covered more than 2,500 miles, from the tip of Cornwall to the Highlands of Scotland, exploring the geology and natural history of Great Britain. It included several behind-the-scenes visits to sites such as the Natural History Museum in London; The Sedgwick Museum and Brighton Building in Cambridge; the Oxford Natural History Museum; and the Elgin Museum. The complex itinerary was arranged by just for groups! – the group travel division of Norwich-based The UK Holiday Group – which specialises in tailor-made holidays. Harold Burke, sales director of The UK Holiday Group, said: “This ranks as one of the most challenging tours we have ever handled – although not the biggest, as a cruise for 800 retirees in 2012 takes that honour, having had a turnover in excess of £1 million. Harold personally welcomed the tour group members as they arrived in London at a special reception. He also greeted them on the final night in Glasgow, where a piper piped them into Scottish-themed farewell gala dinner. He added: “We also had our first inbound tour group from China this year, which is another boost for our business, as the market from China is booming. “We now have a foot in that door as our reputation for tailor-made holidays goes from strength to strength. “These specialist tours demonstrate how just for groups! has become a market leader in the domestic and inbound holiday markets. “The US-based society wanted to focus on sites of scientific interest, including famous fossil beds and historic places associated with scientists such Charles Darwin and Isaac Newton. Arrive in London. Welcome reception at hotel. Edinburgh: Tour of Edinburgh Castle and the Royal Mile; Lunch, Our Dynamic Earth Museum; Hutton’s section at Salisbury Craigs and Arthur’s Seat.